Neither Harold nor I enjoy pleasure reading very much. Our analytical minds are wired for gathering information. That made challenges The Boy had with reading very stressful and difficult to manage. He didn’t mind reading, but he certainly didn’t love it. We often struggled to keep him on track and reading books on grade level. We spent a good deal of time researching ways to inspire children to read. Both the girls love to read. In that regard, we hit the parenting jackpot. Such a relief. I am confident that our intentional approach and the expectation of reading challenges made a difference with the girls. These seven ideas are ones we’ve found make reading enjoyable for children. This post may contain affiliate links. That means if you click a link I may receive a small commission to help run this site. I only recommend products and services that I have used and love and know you will too. We’ve always had as many books and puzzles in our home as we have toys and games. But when we decided to give books as gifts it changed the way my kiddos looked at books. Gifting gave them a value and appreciation they had not previously held. One of Alexandra’s teachers is a literary snob. He refuses to allow his students to watch movies made from books he knows they will read. I’m far less scrutinizing. Allowing kids to watch the movie can inspire a literacy lesson in comparing the storylines. From Everything, Everything to The BFG to Hidden Figures we’ve taken the girls to see several movies adapted from books and always discuss the differences. The first time Trevone saw a book that had his name in it, he was intrigued. 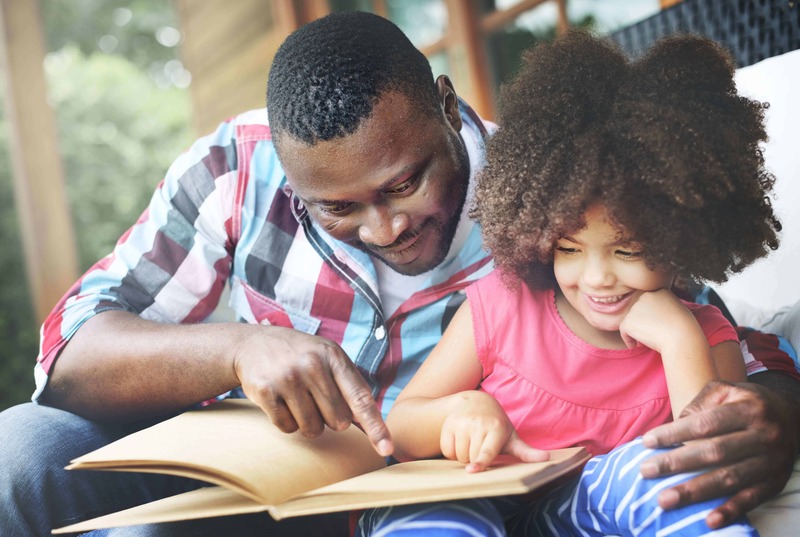 Personalized books are an exciting way for children to learn to recognize their own name, and take pride in the book that bears it on its pages. Each year Alexandra has summer reading assignments. Because the books are mandatory reads, we borrow them from the library instead of purchasing them right away. That way, if she doesn’t like a book we haven’t made too much an investment and there is no guilt or buyer’s remorse. With as much as we parents do to limit screen time with our children, sometimes we could be overlooking a valuable tool. If flipping the pages of a book doesn’t get your kiddos gears turning, try using e-books. The familiarity of the device may lend itself to increased enjoyment of reading. Olivia’s third-grade teacher and I rarely ever saw eye to eye. Especially when she would make students read during recess. Do not use reading as punishment. Ever. No really. Make reading time a privilege, just like screen time and build anticipation and excitement for it. How do you inspire your children to read more? What challenges have you had with your children and reading? I have one that loves to read & one that hates it. Constant struggle! !